This month’s joining offer from doTERRA seems quite complicated on the surface, but when you get to grips with it, it’s actually really exciting! 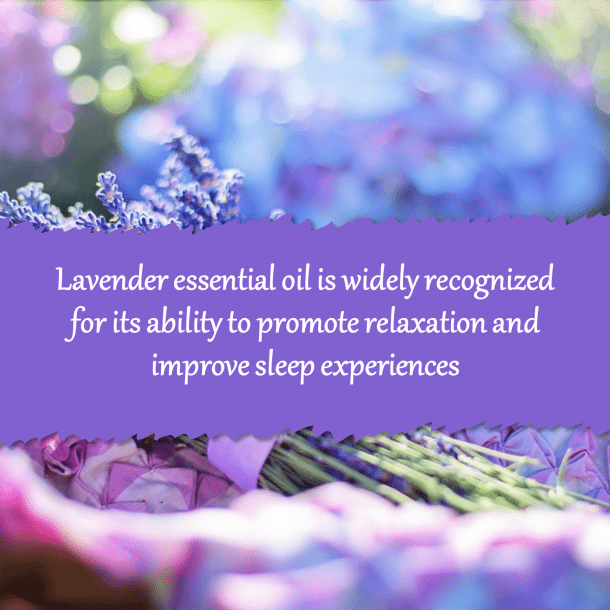 But that’s a huge amount of terminology to understand for somebody that is new to doTERRA – so I thought I would do a quick post to break it down a bit and explain what you need to do. PV (points value) is doTERRA’s internal pricing system which means that we all have the same sales targets and incentives in different countries no matter what the exchange rate or sales taxes in different countries. So each product has a PV value, which is the same in every country. As an example a bottle of Lemon oil is 12PV wherever you buy it – it costs £12.40 in the UK, and 15.58 euros in Ireland – the difference is due to the exchange rate and different tax rates. So if you want to take advantage of this great offer you first of all need to join as a Wholesale member or Wellness Advocate in November with a 100PV Enrollment order. If you can’t decide between the 2 , then Wellness Advocate is always better unless you know with certainly that you will never want to sell the oils. 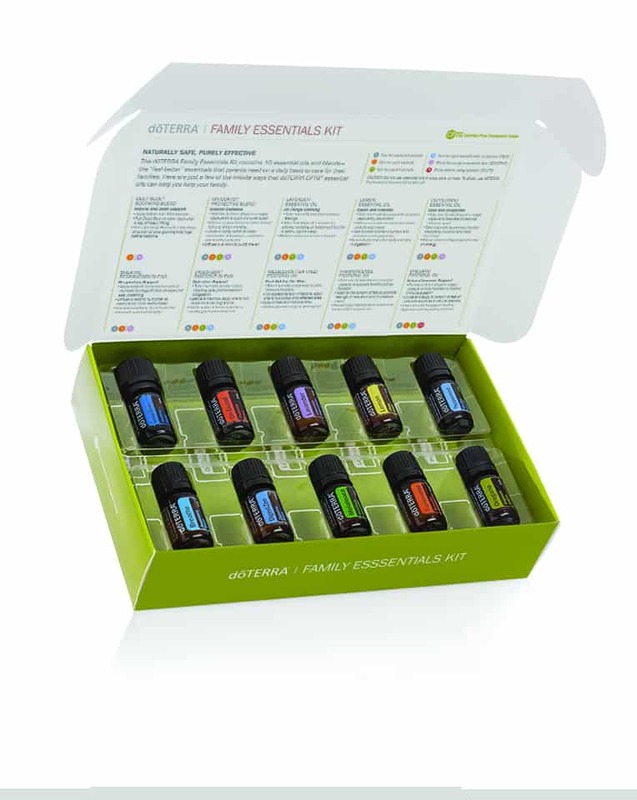 If you want to know what each of these oils is for, click the link to the Family Essentials kit above and you can read my review of the kit. So this Enrollment kit will cost you £110.40 including VAT , and is 115 PV. Job done! £110.40 gets you 5ml of each of doTERRA’s best selling oils, but £222.00 gets you a full 15ml bottle of each, plus a Petal Diffuser for your room. If you already have a diffuser you could give it to somebody as a gift. To be honest, all of the Enrollment kits are good value and the higher the price the bigger the discount on the oils – so take a look at the whole range of Enrollment kits if you want to invest. If you have already bought some oils from us retail, and/or you don’t fancy an enrolment kit, then the best way to go is the Do It Yourself option. So that takes care of November and signs you up as a Wellness Advocate. The doTERRA Loyalty Rewards Program will reward you wilth cash back if you commit to make a purchase each month. In month 1 you get 10% of your purchase value plus your shipping back in free points. This builds every 3 months until you get up to 30% of your monthly purchase back in free points. Plus if you place a 125PV order each month you wil get the free Product of the Month. Also there is no obligation to continue with the Program, so if you want, you can join just for the purposes of claiming your free 50PV, and then stop. For anyone who joins my team in November, I will send specific instructions as to how to place a LRP order of 100PV and how to claim your 50PV free, to make sure that you don’t miss out. 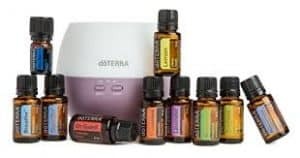 I gave you some ideas for your 100PV December order above, but you might also want to consider adding the following popular doTERRA products. You could consider some of those to use up your free 50PV too. 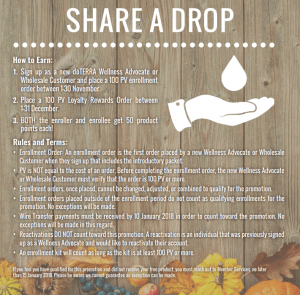 So there you have it – the Share a Drop promotion in a nutshell. Dont forget too that if you are already a Wellness Advocate you can share this promotion with your friends and get them to sign up too. Spend 200PV split over 2 months and get 50PV of free products of your choice – that sounds like a bargain to me!